I’m a bit disappointed with myself this week. 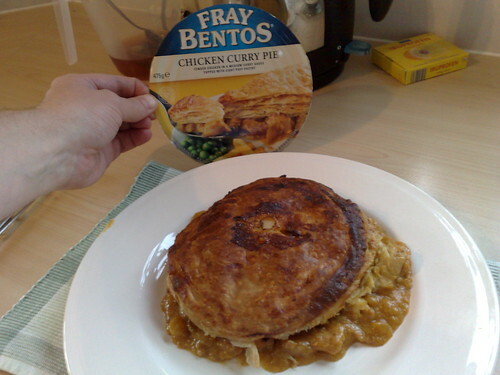 I thought I could easily shift a few pounds but looking back I can see why I haven’t. On Monday we went to the Indian Buffet night at Zeenat, I didn’t pig out though and to be fair we did walk the 2.5miles to the restaurant. On Wednesday evening we hastily decided a further treat was in order and we went into town. We visited Wokmania taking advantage of a 2 for £10 buffet voucher. We’ve been before and not been too impressed but at that price it cant be bad? Let me tell you it can! The food wasn’t being replenished often, with dried remains being stirred over and over to give new life. The service also didn’t impress, I ordered a bottle of house Rose, a nice little earner for them at a tenner for probably a £2.50 bottle of wine. It arrived after I had finished eating and Paul was just eating his final plate. It was sent back without argument and we left shortly afterwards. On Saturday I spent a good 4-5 hours in the garden applying Ronseal Perfect Finish Decking Oil. Have you seen the TV advert where they apply it effortlessly and it coats completely as they glide along with the applicator pad? Yeah, right, pull the other one, its bloody hard work getting it into all the grooves! 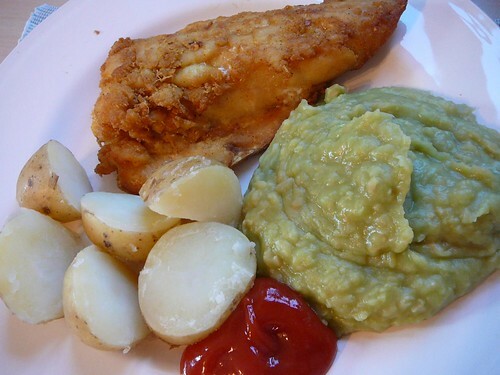 Anyhow, that certainly worked up an appetite for my evening meal, Smoked Haddock, potatoes and mushy peas. The fish is coated in my own special recipe spicy flour mix then (very) shallow fried. Delicious! On Sunday I was on Nana-in-law duties, taking Ivy out for breakfast at a cafe in a garden centre she like to visit. I succumbed to a sausage and mushroom cob that wasn’t entirely fat free. It was a nice drive out in the country though so that’s something isn’t it? 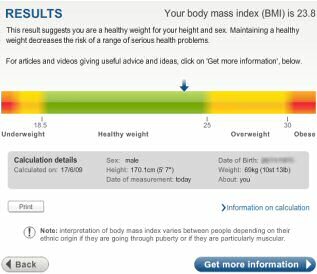 When I started out on this journey my BMI was a whopping 26.9 and my target was to get down to somewhere around 22.8, so how am I doing? You are currently browsing the archives for the weight loss category.